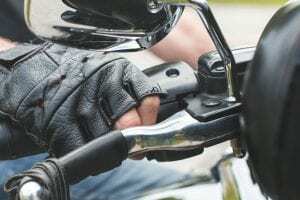 Yonkers, NY (March 30, 2019) – A man was critically injured in a dirt bike accident that took place on South Broadway after he slammed into a vehicle. The incident took place on South Broadway, around 10:18 p.m., when two dirt bike riders were traveling north on the roadway and one man’s dirt bike collided with a vehicle that was turning left from Undercliff Street. Two people were injured in the accident, including a 21-year-old and 25-year-old. The 21-year-old was listed in stable condition and the 25-year-old was listed in critical condition with severe bodily and facial injuries. The driver of the sedan that they struck stayed at the scene to cooperate with police. Police continue their investigation of the accident at this time. Around 1,600 people will be hospitalized every year in motorcycle accidents that take place across New York. Many of these accidents involve other drivers who have acted in a negligent manner even though motor vehicle drivers are always supposed to be looking out for the wellbeing of others who share the roadways. Motorcyclists are especially vulnerable to serious accidents, which is why you need a personal injury attorney on your side who can help in your time of need. At Hach & Rose, our experienced accident attorneys want to stand by your side when you believe that another party is at fault for your injuries. With over a decade of personal injury experience in these cases, our attorneys are willing to help you compensate you for a variety of damages such as medical bills, lost wages, and emotional distress. Please contact us for more information at 212-779-0057.